Our CUTE BLUE LAMB CANDY WRAPPER is very sweet. 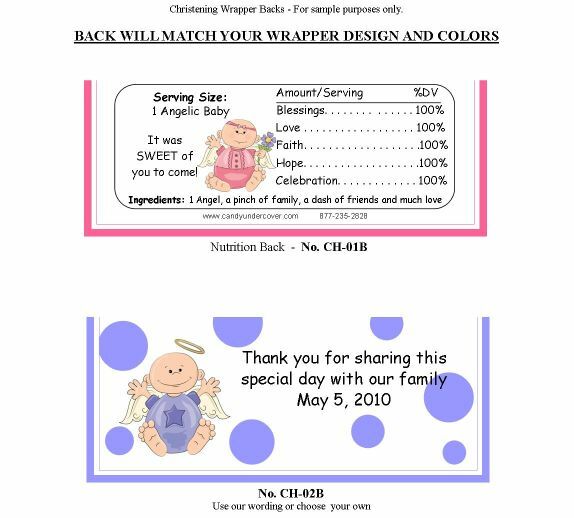 The perfect Christening or Baptism candy bar wrapper for the occasion. A cute lamb with a blue bow! Your guests will love this delicious party favor treat. Chocolate is the ultimate party favor and our Christening and Baptism candy bars will be the hit of your party!